You can find pre-mixed za’atar spice mixes at the store, but it is so much fun to mix up your own at home that’s tailored to your specific tastes. Here’s a basic recipe with ideas for how to adjust it. 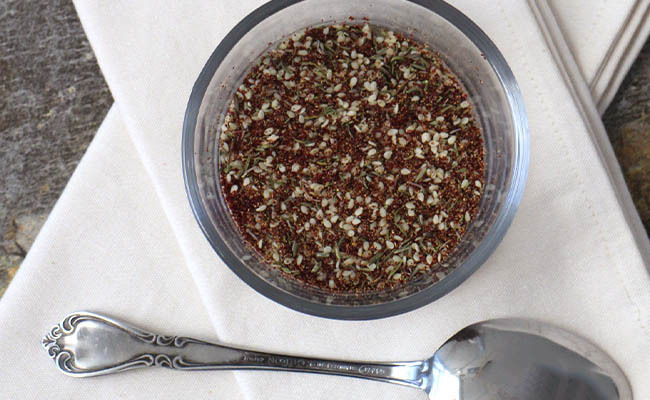 I am a long-time fan of za’atar, a flavorful Middle Eastern spice blend. When I was a kid, my family used to go to a restaurant in south Florida where they’d bring you warm, crusty bread with za’atar-spiced olive oil for dipping. That citrusy, earthy, slightly salty spice blend was addictive, and we’d dip slice after slice, dredging up as much of that precious spice mix as we could. 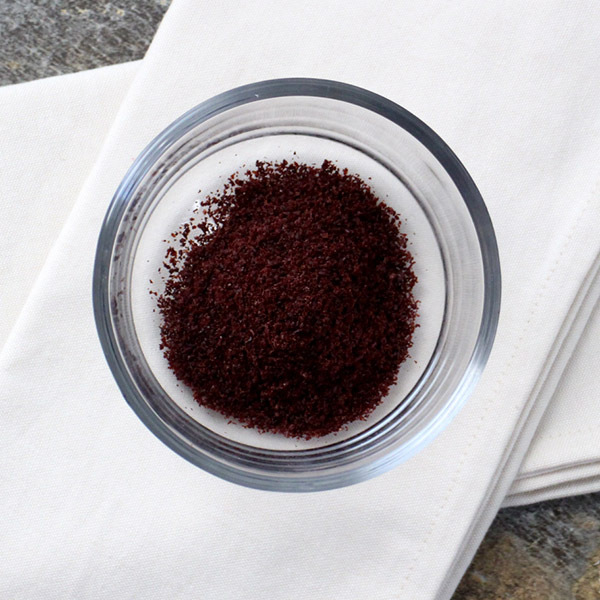 Sumac – This vibrant, red spice has a citrusy flavor that is key to mixing up za’atar spices. Sesame Seeds – Normally, you toast the sesame seeds for a za’atar mix, but you can play around with using them untoasted, too. Thyme – Thyme brings the earthiness to the table. I also recommend using a bit of salt, but you can leave it out if you’re avoiding salt for health reasons. You can find sumac at some regular grocery stores or at stores specializing in Middle Eastern food. Mix with olive oil for dipping bread. Sprinkle it onto avocado toast. Toss it into your next batch of popcorn. Use it to top homemade bread. Add a healthy dash to rice or lentils (or both!). 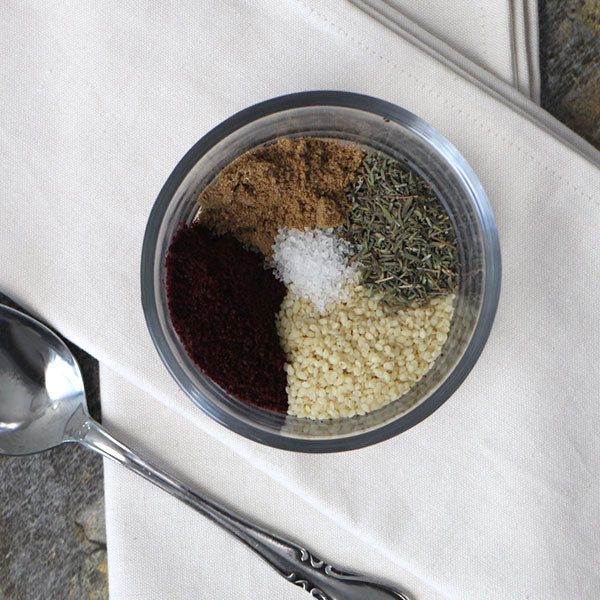 Once you get a feel for this unique spice blend, I bet you’ll be coming up with new and exciting ways to sneak it onto your plate. Until recently, I’d never made my own za’atar spice blend, since the mix is readily available at my regular grocery store. I do love playing around with spices, though, and the recipe below is the blend that I came up with after looking at many, many recipes for za’atar spices. As you can see from the recipes above, you can really get creative with your homemade za’atar blend. So consider the recipe below a jumping-off point in your own za’atar adventures! 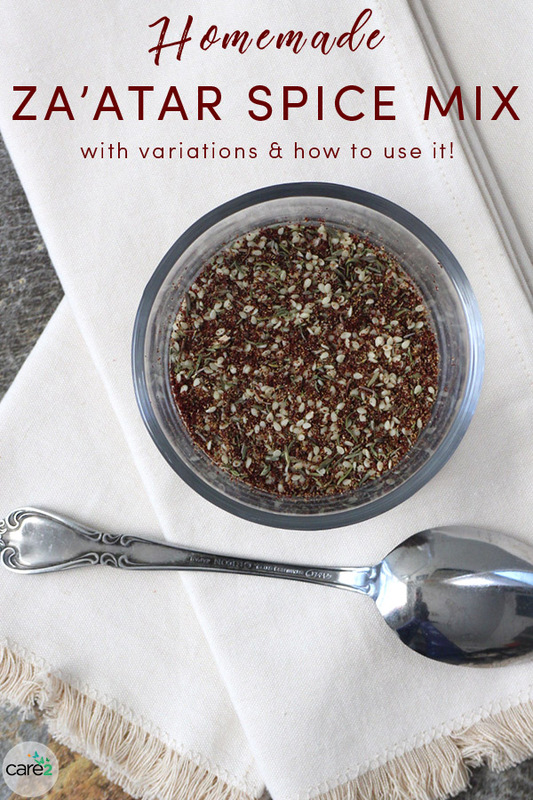 You can find pre-mixed za'atar spice mixes at the store, but it is so much fun to mix up your own at home that's tailored to your specific tastes. Combine the ingredients, mixing well, then transfer to an airtight container to store. They will keep for a few months, if stored in a cool, dark place.